I’ve been reading the book Outlander (affiliate link) by Diana Gabaldon and watching the Starz original series and I’ve got to say it’s amazing that more women in 18th century Scotland didn’t die from chest colds. Seriously…there are lots and lots of heaving cleavage portrayed on the show. I’m self conscious if I wear a scoop neck top, these women are wearing all kinds of low cut, tight bodices. Great choice for the B,B&C Blogfest! Hot Fuzz was great, and not just because of all the British accents. I loved Trading Places too, although I never would have thought of including it here. Hot Fuzz was like the ultimate cop movie! Hot Fuzz is an awesome film! And this is the second time I’ve seen Outlander mentioned today. I’ve read the book, but I haven’t seen the show. Must watch it! 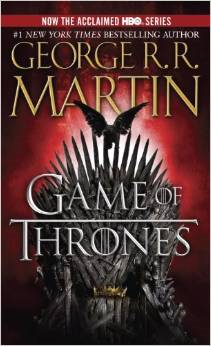 The show follows the book pretty closely. I will say that I like “book” Claire more than I like “TV” Claire. Sounds interesting and a great choice for the BB&C Blogfest! Will definitely check it out. One of my friends has this movie, but I haven’t seen it. 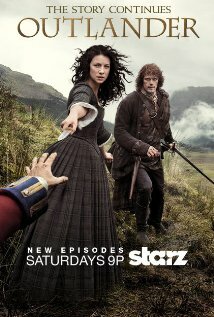 I love Outlander!!! Completely hooked on it and really enjoyed the book too. Haven’t seen the other movies you posted about but they sound good. Happy BB&C! Hot Fuzz was pretty darn funny. Most things Mr. Pegg does are. I haven’t read either of those series, though I’ve heard good things. I like your chest cold comment. 🙂 Trading Places is an oldie but a goodie! Trading Places is one of my favorite movies of all time. I haven’t seen it in ages! Ok I don’t know if I’m lame, old, or just not with it, but I haven’t seen any of these yet! haha. Good news is you’ve made me want to check a couple of these out! I don’t think I’ve seen Trading Places all the way through and I’m due for a good laugh! Ha! Loved that movie! My hubs and I are big fans of all his movies! And what a fun link up, hmm, might join in next time! Great to see ya again, mama! wow, Trading Places is my movie. I loved the whole plot line & this movie is a great comedy.